Apple has banned iPhone applications developer Molinker from its App Store after learning that its high reviews and glorious feedback appeared to be fakes. 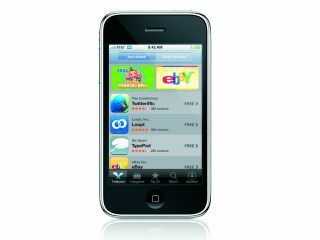 Molinker was one of the most prolific developers of applications for the iPhone. It had 1,011 of them, including camera software and city guides, available at the Apple App Store, all with excellent feedback and reviews. Then blog site iPhoneography noticed that the overwhelming majority of those reviews for Molinker's apps were written by people who didn't review any other apps. That raised suspicions, which were confirmed when the writing styles in the reviews appeared so similar. In one instance, with Molinker's NightCam Pro app, iPhoneography believed 42 of the 44 5-star reviews were fakes. The site took time to put together a file containing all the possible scamming of the system by Molinker, then forwarded it to Apple's Senior Vice-President of worldwide marketing, Phil Schiller. At first the site heard nothing, but now all Molinker's apps have been yanked from the App Store. In an email, Schiller confirmed: "Yes, this developer's apps have been removed from the App Store and their ratings no longer appear either." It's not the first time Apple has pulled the plug on apps developers. Back in August it dropped Perfect Acumen after Chief Executive Khalid Sheikh was accused of intellectual property infringement and copyright infringement. The Apple App Store contains about 100,000 applications. Or, now Molinker's gone, about 99,000.